The Victoria Palace Hotel & Spa is the perfect choice for anyone seeking a combination of sea vacantion and refined luxury. 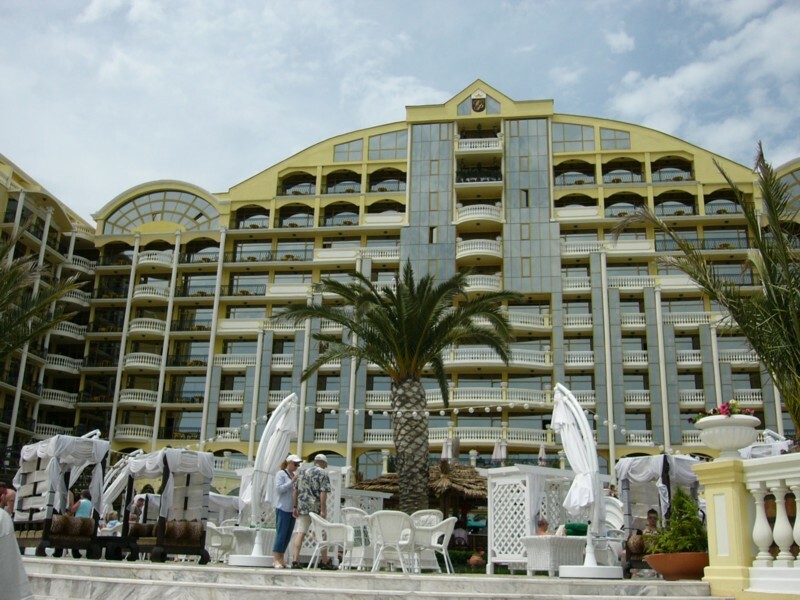 The hotel is situated on the very beach in the northern part of Sunny Beach resort. Its attractively desgned interior, refined catering establishments and prompt service guarantee a plesant and relaxing stay to all our guests. 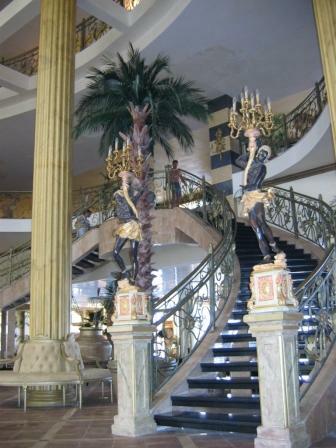 Hotel Victoria Palace offers 1 presidential suite, 42 suites, 2 penthouse suites, 16 single and 475 double rooms. All rooms and suites have terraces, air-conditioning, phones, SAT TV, safes and mini-bars. 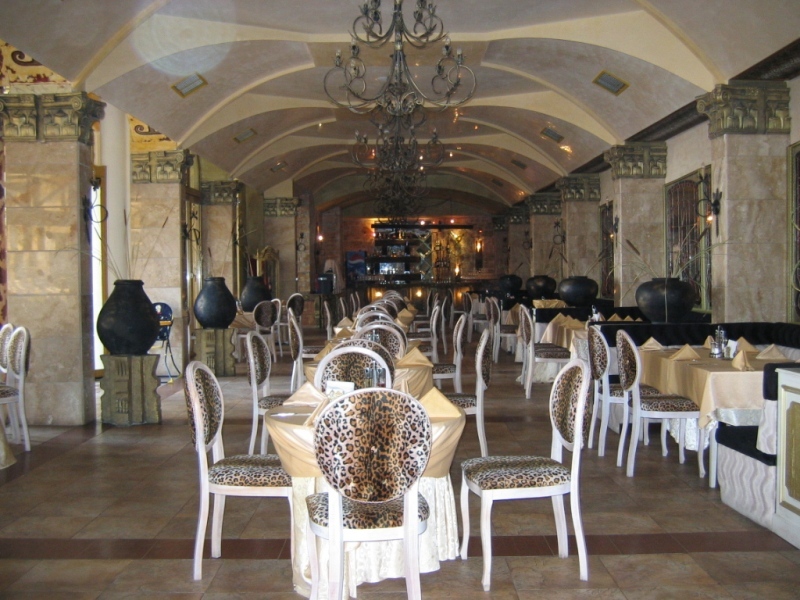 The hotel offers: Safari Bar - original African style (140 seats), Pool bar in the form of a ship (20 seats), Terrace bar with a sea view (60 seats), Caribbean bar on the beach itself (50 seats), Palm bar, Hollywood Restaurant - deluxe interior and great service (500 seats). Keep fit with the Spa centre, offering Jacuzzi, sauna, Turkish bath, Different types of relaxing procedures and various massages, Fitness, anti-cellular programs, Manicure, pedicure, hairdresser and Indoor swimming pool. The accommodation of 2+2 chd in 1 room is by availability on request. Changes in EB reservation, after the term of the EB discount will be not accepted. 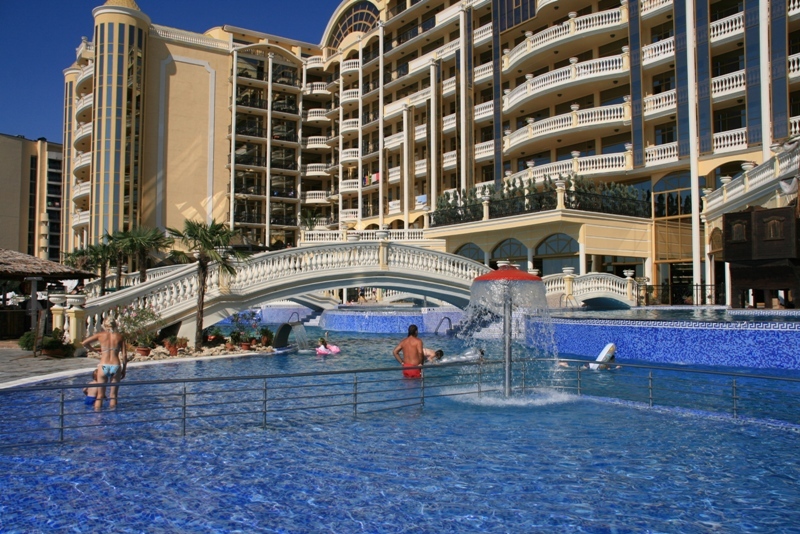 By any change of early booking reservations no amounts are refundable. All children 2-11.99 yrs. pay for AI supplement no matter on regular or extra bed. 1 adult with 2 children 2-11.99 yrs.- each child is paying 50 % from the regular bed price.